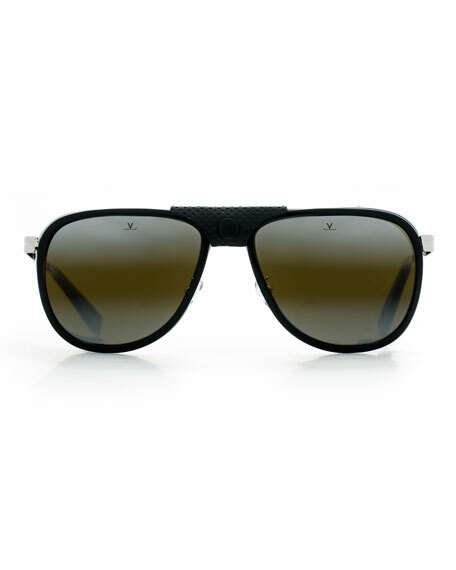 Vuarnet "Glacier XL" stainless steel/acetate aviator sunglasses. 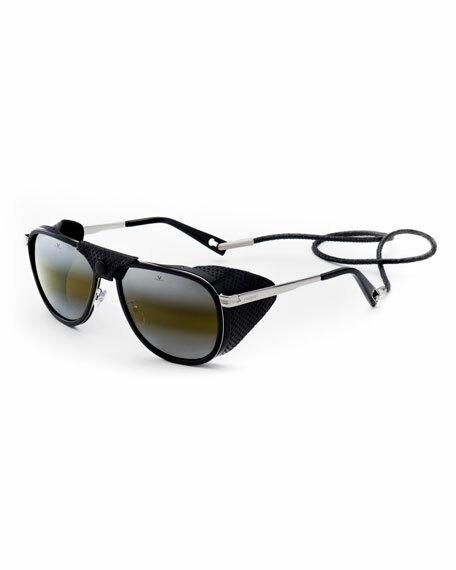 Garrett Leight "Clune 47" round sunglasses. Cured cellulose acetate frames. Solid smoke lenses. Keyhole nose bridge. Double-pin details at temple. Garrett Leight "Clune 47" round sunglasses. Cured cellulose acetate frames. Solid smoke lenses. Keyhole nose bridge. Double-pin details at temple. Stainless steel hinges and screws. Dimensions (in mm): 47-138-145. 100% UV protection. Imported. 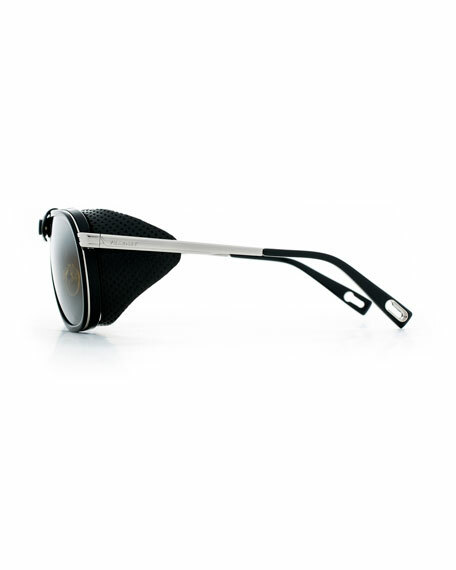 EXCLUSIVELY AT NEIMAN MARCUS Vintage Frames square aviator sunglasses in 24-karat gold-plated metal. Eye/bridge/temple (in mm): 58-20-142. Double nose bridge. EXCLUSIVELY AT NEIMAN MARCUS Vintage Frames square aviator sunglasses in 24-karat gold-plated metal. Eye/bridge/temple (in mm): 58-20-142. Double nose bridge. Adjustable nose pads. Capped earpieces. 100% UVA/UVB protection. Made in Canada.